When people look into how to make soap, they’re often intimidated by how many ingredients they need. Even if a recipe only has 3 oils, they also need lye, molds, containers, etc. That’s why we created Quick Mixes. They’re bags of premixed oils designed to make it easier for you. All you have to do is melt and measure them – no need to worry about buying individual oils or formulating a recipe. Shop Quick Mixes here. We offer Lots of Lather Quick Mix, Basic Quick Mix, and Swirl Quick Mix. 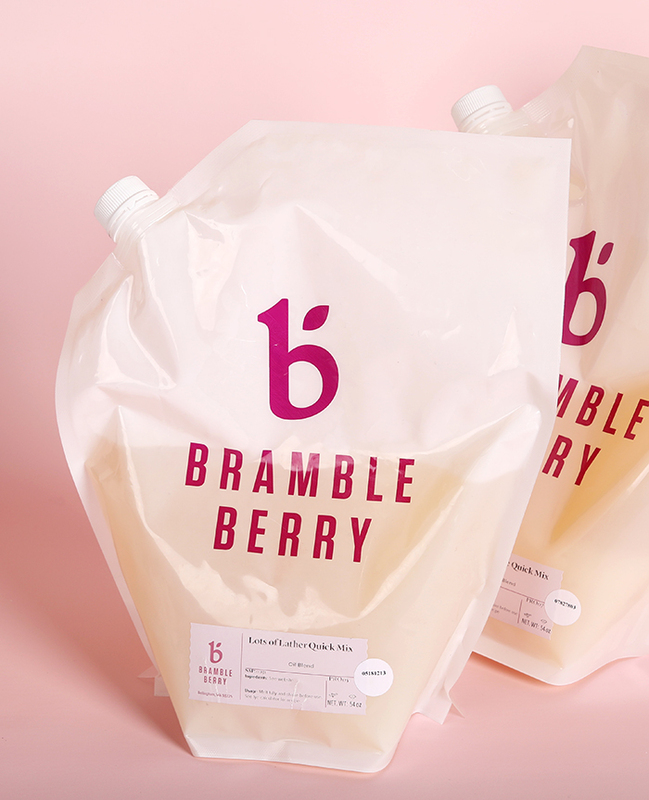 Each one is formulated and made by Bramble Berry experts for specific recipes. For instance, Swirl Quick Mix is made with slow-moving oils that work best for intricate designs. Learn more about what’s in each mix in this Sunday Night Spotlight. To use, place the bag of Quick Mix in the microwave with the lid on. Heat until the oils are completely clear and give the bag a good shake to mix. Weigh out what you need into a heat-resistant container. If you prefer, you can heat the bag of oils in a pot of hot water on the stove. Just make sure it doesn’t touch the bottom of the pot – the bag is heat resistant, but it can melt in extremely high temperatures. The Quick Mixes aren’t just for beginners. We love using them to make things a little easier and faster. Find a few of our favorite tutorials using Quick Mixes below.